This course is a great introduction to painting in a more impressionistic way as well as a perfect refresher course to those who took Keiko's previous workshop. ​​Subject matters include landscape, cityscape, waterscape and interior. The introduction focuses on the fundamentals including getting to know our materials and seeing things with an artist’s eye. 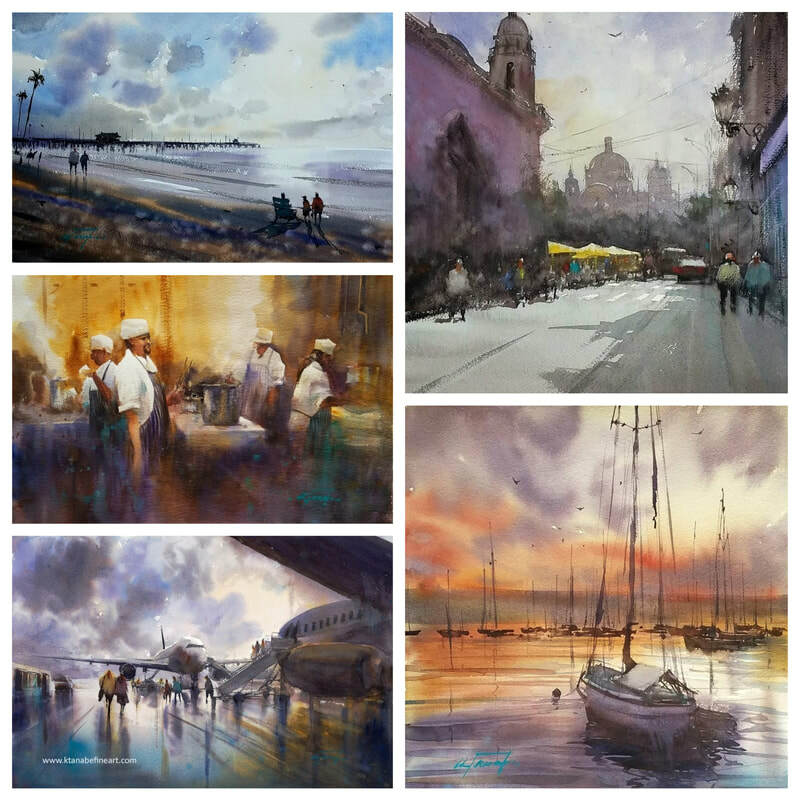 ​The areas of topic covered in this workshop include: the importance of tonal value studies, how to do a preliminary drawing, how to edit a complex subject, what makes a good design, understanding of relationship of tonal values and colors, and a variety of techniques in paint application and brush handling.